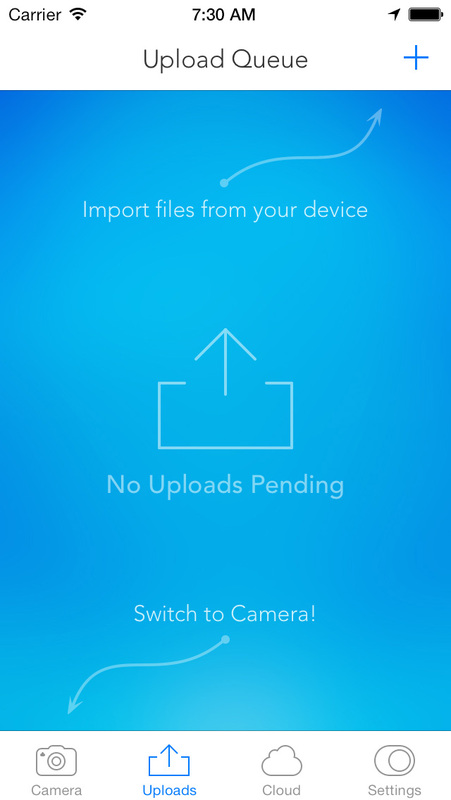 With UploadCam the photos & videos that you take are automatically stored on your Dropbox account, unless you choose not to upload immediately. 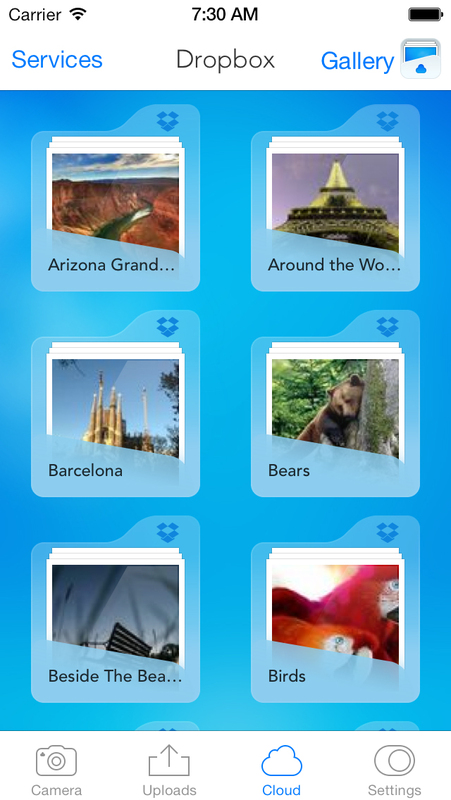 a different one to organize your photos & videos as you take them. 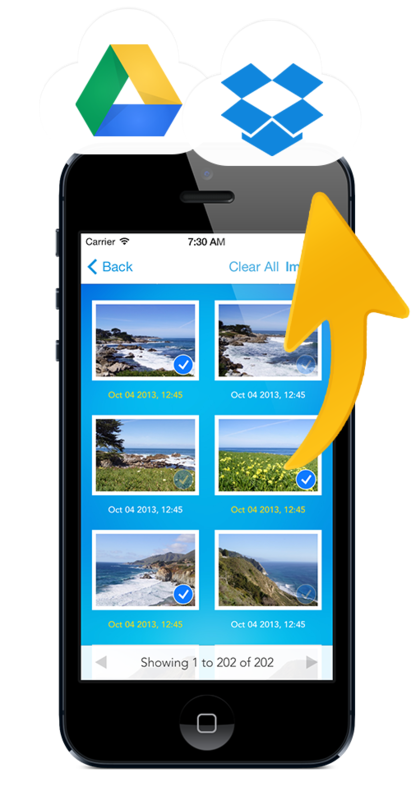 Share by Mail, Twitter, Facebook or open in compatible app (like iPhoto, Dropbox, Google Drive etc.). 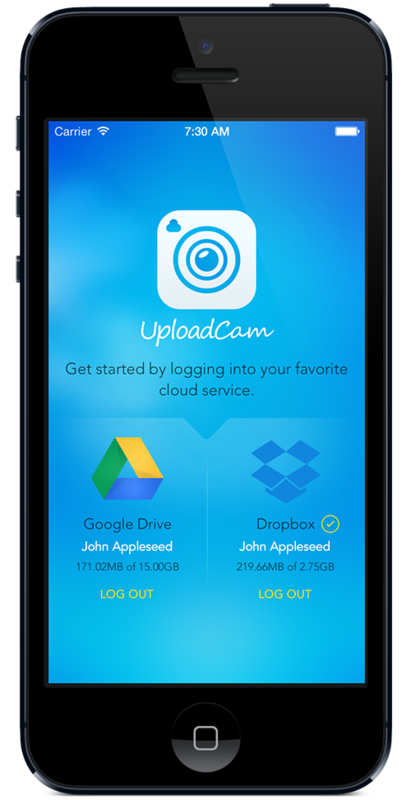 With UploadCam the photos & videos that you take are automatically stored on your Google Drive account, unless you choose not to upload immediately. 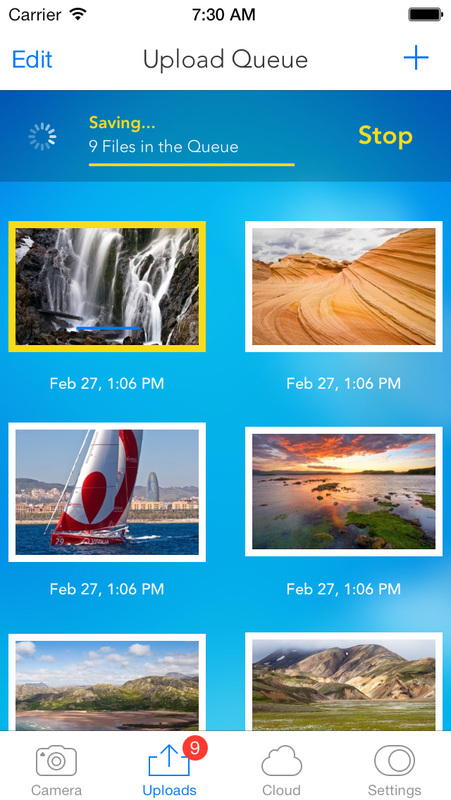 Organize photos and videos by adding notes. 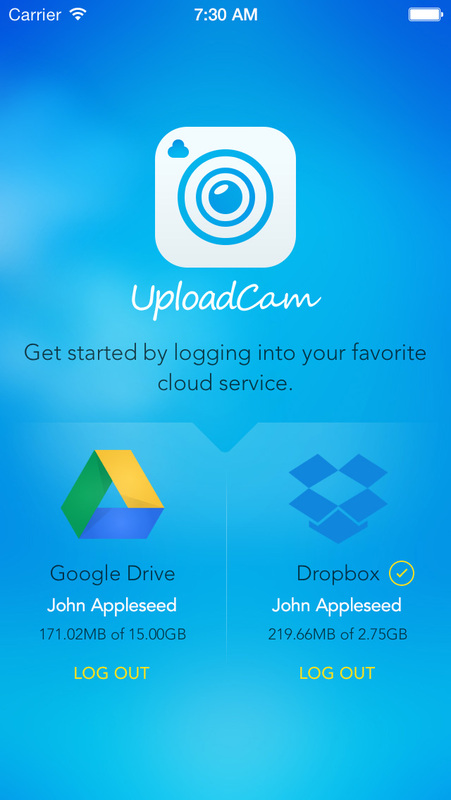 With UploadCam the photos & videos that you take are automatically stored on your Google Drive or Dropbox account. 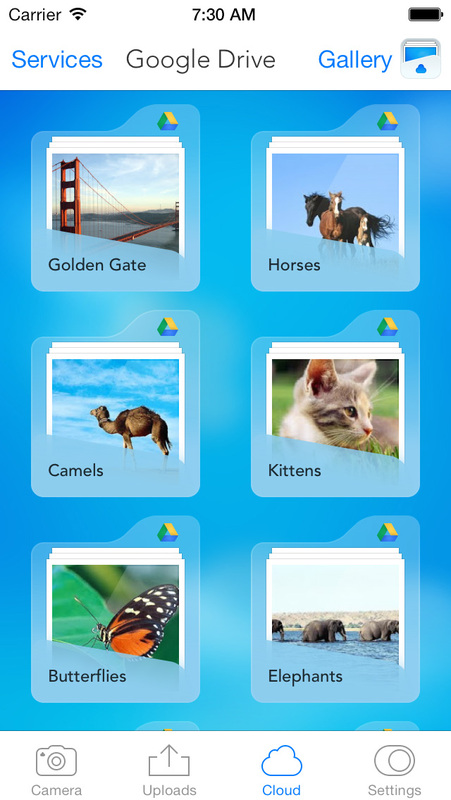 This means that you can access them anywhere, organize them quickly and share them easily! 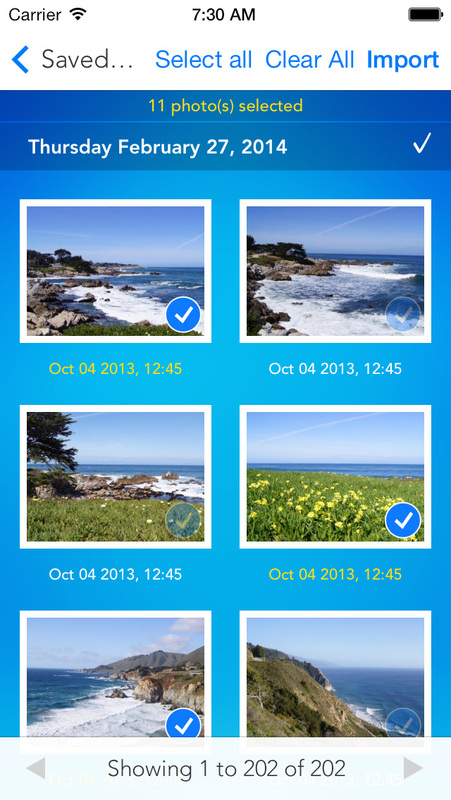 The FREE version of this app takes and uploads photos in MEDIUM RESOLUTION ONLY. 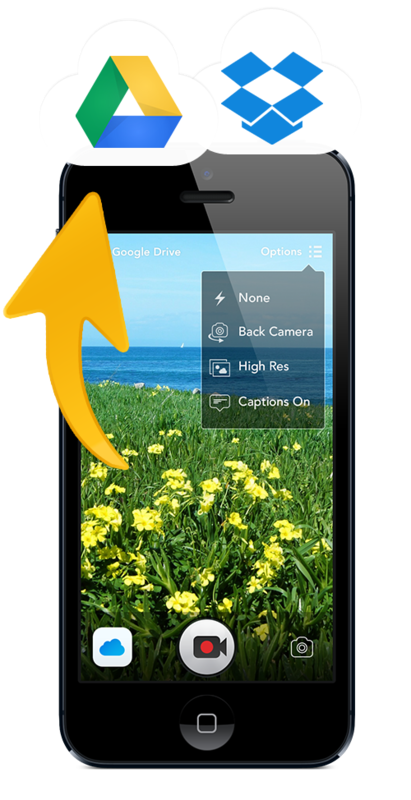 Upgrade to FULL version to take and upload photos & videos in FULL resolution. Use your existing Google Drive or Dropbox Account - no need to create yet another service account! 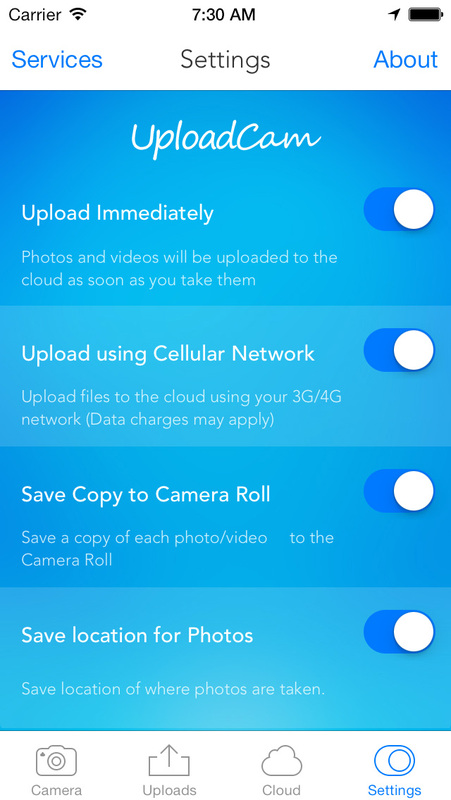 Import and upload photos & videos from your 'Camera Roll': You are not limited by the photos or videos you take with UploadCam. 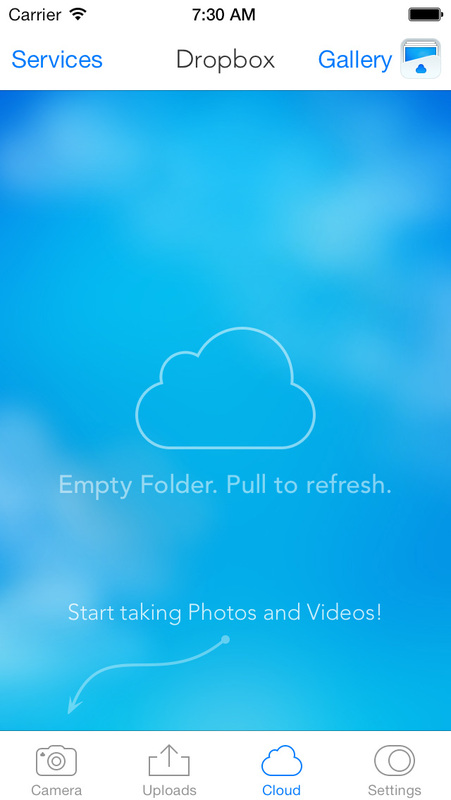 Skip the camera roll by saving directly to your cloud account. 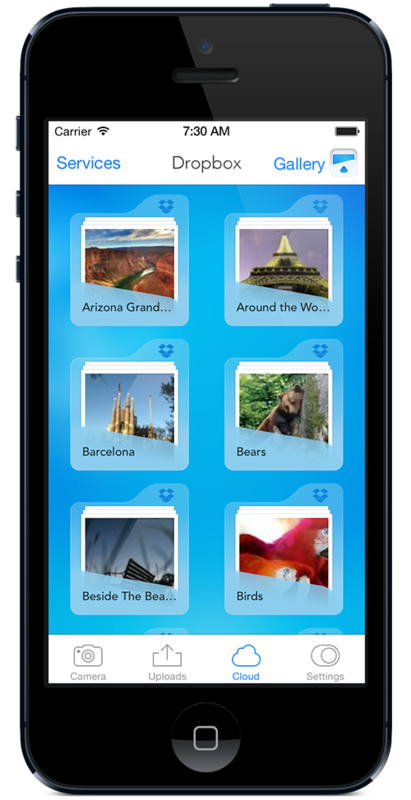 Organize photos and videos by adding notes. * pro * Google Drive Only. 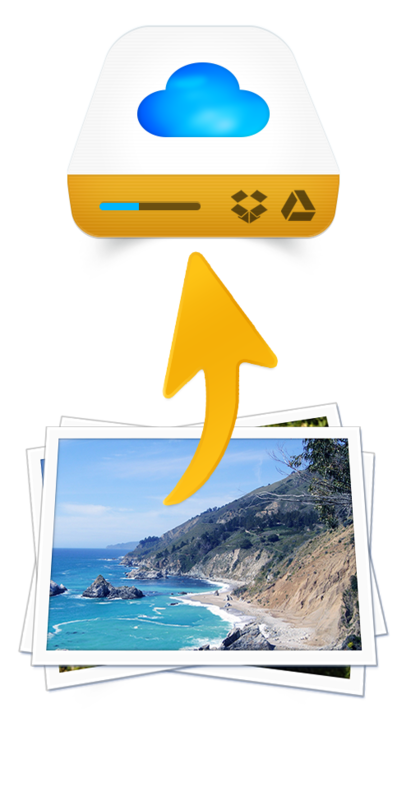 Photo Transfer App allows you to quickly copy photos and videos between your iPhone, iPad, Mac or Windows PC using your local Wi-Fi network. 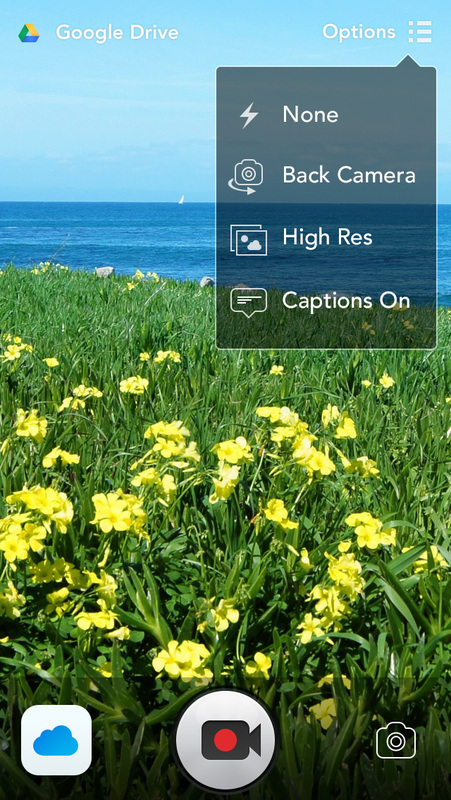 Web Services plugins: Upload and download photos from Google Drive, Dropbox and Flickr. Available as in-app purchase.